I never met Susan, nor did most of the thousands and thousands of people who were touched by her. Susan, wife of Elden Nelson, the blogger behind the incredible FatCyclist.com, passed away yesterday surrounded by friends and family. Elden was kind enough, over these last years, to open up his life to strangers and to blog not just about cycling (as was his original mission) but about the struggles and trials faced by Susan and his family as they all battled an extremely aggressive form of cancer. 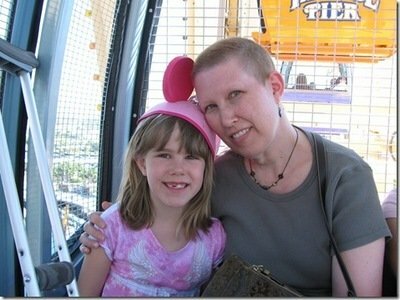 Susan, through Elden’s brave words inspired thousands to take up the fight against cancer and as a result more than half-a-million dollars have been raised for the Livestrong foundation. That one person could inspire so much generosity is staggering, and it’s a legacy that will live forever. She will touch the lives of thousands more who are engaged in the fight against cancer and those who support them. On behalf of BikeHugger and the whole cycling community, we send our thoughts and love to Elden and his family. We’re also urging readers of BikeHugger to visit FatCyclist.com and leave a comment for Elden. Finally, a few days ago Elden announced a giveaway of an Orbea with Di2 for those who donate to his (or their own) Team Fatty team in the Livestrong challenge. Personally, if I win, I’m going to auction the bike and give the proceeds to LiveStrong in Susan’s name, but it’s a super-generous prize dedicated to a great cause. Information on donating and entering is here. Please remember as you go out and ride over the next days, months and years that there are so many out there who have and who are fighting a battle just like Susan’s, and how much they need our support. That will be the most lasting tribute to Susan I can think of.